Located on the Grand Canal in Venice, The Westin Europa & Regina, Venice, is a picturesque escape. Our five star hotel faces the beautiful Baroque church of Santa Maria della Salute in a peaceful corner of Venice, giving guests access to all this historical city has to offer he famous monuments of Piazza San Marco, exciting shopping, and the incomparable poetry of Venice are just steps away. Our complete range of services and activities provide inspiration for single travelers, couples, and families alike. Enjoy re-invented regional cuisine at our waterside restaurant La Cusina. Work out in our Westin WORKOUT Gym and stretching room. Take a complimentary boat ride during the summer to the private beaches of Lido, as well as golfing, tennis, and boating. Or simply sit on Bar Tiepolo's Grand Canal Terrace and breathe in the local atmosphere. 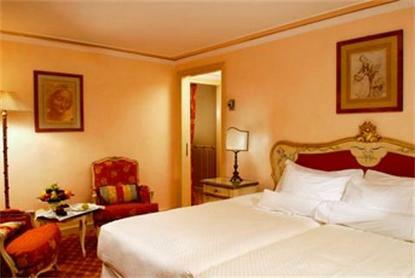 The Westin Europa & Regina, Venice maintains traditional beauty while offering contemporary conveniences. Each of our five magnificently restored historic buildings date from the 17th to 19th centuries. Characteristic accommodations offer city or romantic Grand Canal views, High Speed Internet Access, and 32-inch LCD flat screen TVs. Our signature Heavenly Bed guarantees you'll wake up rested, reinvigorated, and ready to explore the city. Visit us in January-February for the Venice Carnival. Vacation with us in June, July, and August during the school holidays. Visit us in July for the traditional Redeemer Feast celebrations. Or stay in September for a bird's eye view of the Venice Historical Regatta. No matter what time of year you visit, it will be easy to see why our hotel was named to Conde Nast Traveler's 2008 Gold List.